After months of national selections, days fo rehearals today the final show of the Junior Eurvovision Song Contest 2018. This afternoon at 16:00 pm CET the 16th edition of Junior is set to take place at Minsk Arena, in Minsk, Belarus. A record number of 20 countries will get on stage and battle for this year’s trophy. This year we see Kazakhstan and Wales debuting in the contest while France, Azerbaijan and Israel are making a comeback. 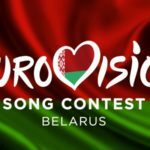 Hosts of today’s final show will be the trio Eugene Perlin (ESC commentator for Belarus in 2013 and last year in JESC), Helena Meraai (last year’s Belarussian JESC representative who finished 5th in Tbilisi)and Zena (twice JESC national finalist 2015 and 2016). The winner will be determine by an online public voting in combination with a jury voting , having a 50% share each on the final outcome. Don’t forget to cast your votes on the online voting page which is open since Friday . More details on the voting process you can look up for here. The Junior Eurovision 2018 will start at 16:oo CET and you can watch it on the official JESC Youtube channel. « Israel: HaKokhav HaBa L’Eurovizion kicks off with results of the 1st show.